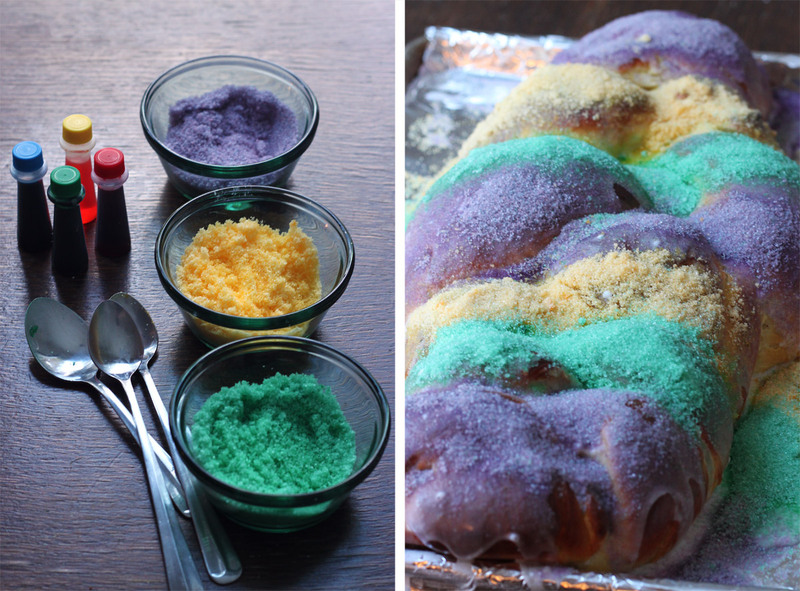 I made a king cake for Mardi Gras. 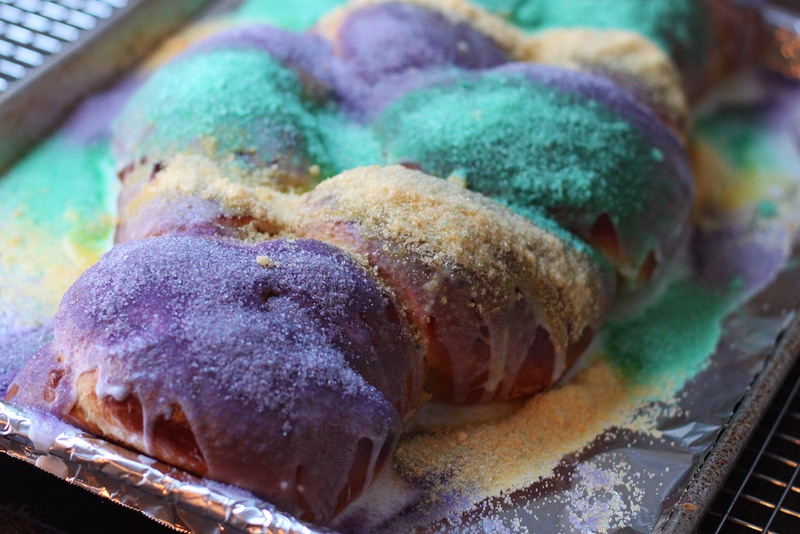 When I was a kid and we lived on the Mississippi Gulf Coast, I used to have a king cake for my birthday since it’s usually so close to Mardi Gras. A couple of years ago I decided I wanted to start this tradition up again, so I ordered one online, only to get ripped off when I paid for but never received it. So I decided I was just going to make one myself! And now that’s my new tradition. They’re supposed to be in a ring/oval, but I made mine in more a long braid this year. Next time I’ll probably go back to the ring as it was a bit too thick and wound up having a spot in the middle that was undercooked. But otherwise it was yummy. It made me think about why I only make it once a year. It’s basically just a big cinnamon roll, so you could make it anytime and have it for breakfast. I decorated it with the Mardi Gras colors, but you could put any color of sugar or just top it with the icing and use no sugar at all. If you’re interested in the recipe, I posted it last year on my food blog.